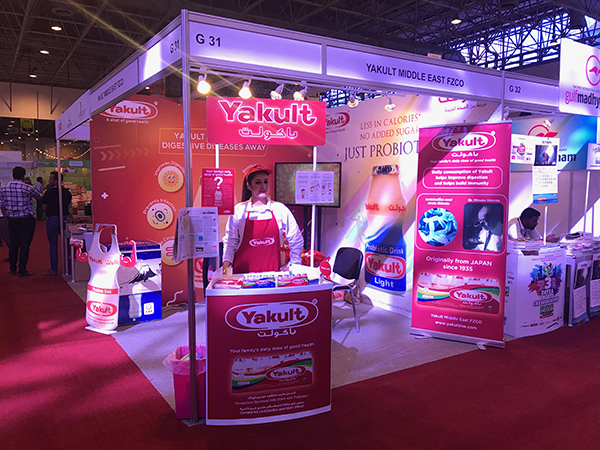 Yakult Middle East participated in Come on Kerala event, which is considered the biggest Indian international expo ever held in UAE for the second time. 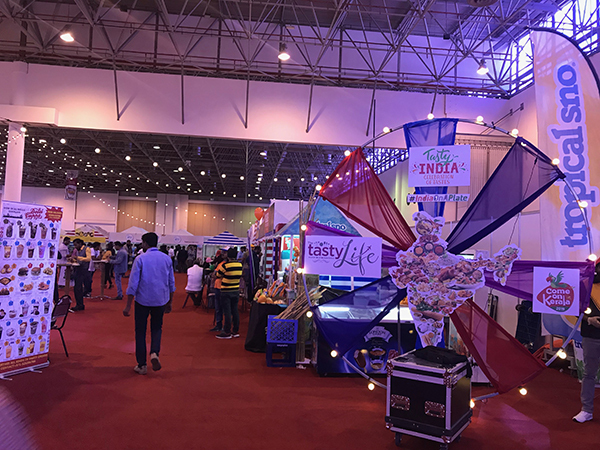 Above 165,000 visitors graced the occasion this year. 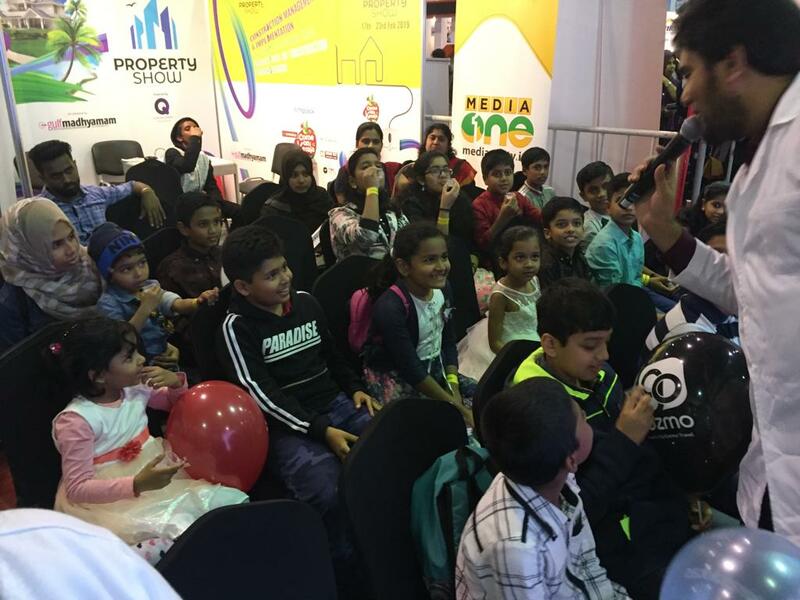 The event was inaugurated by his Highness Sheikh Dr. Sultan Bin Muhammmad Al Qasimi, supreme council member and ruler of Sharjah. 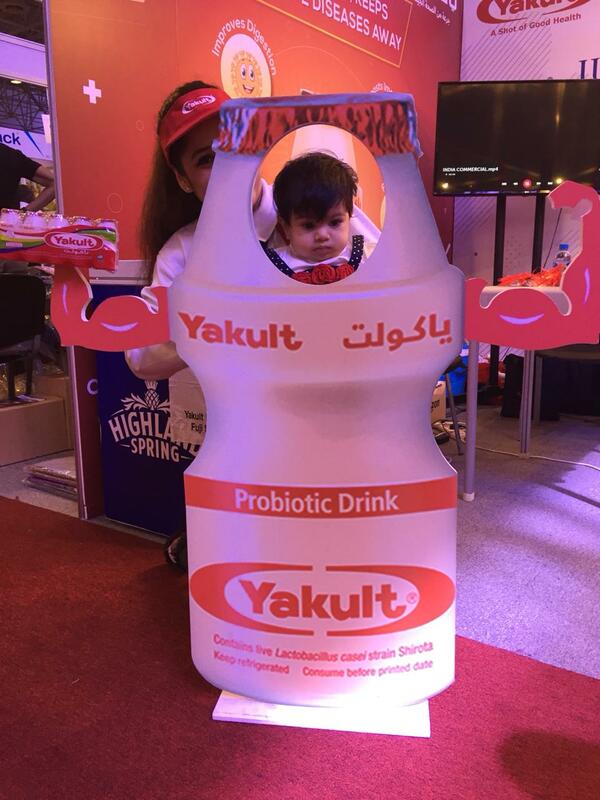 Yakult was sampled to more than 2500 guests who visited Yakult stand for 3 days. 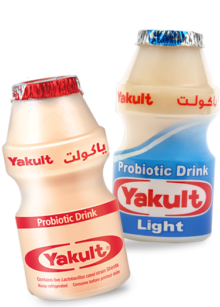 Many guests were tasting Yakult for the first time and they were excited to know more about its benefits. 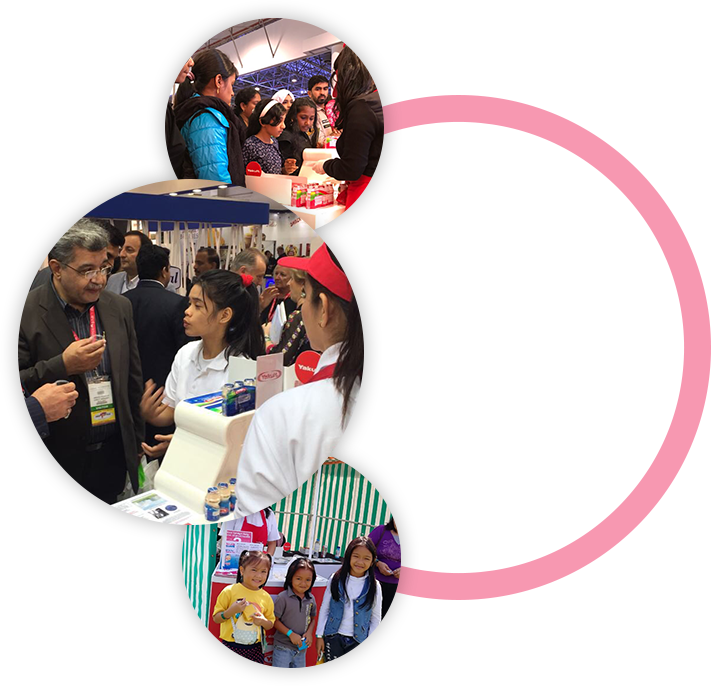 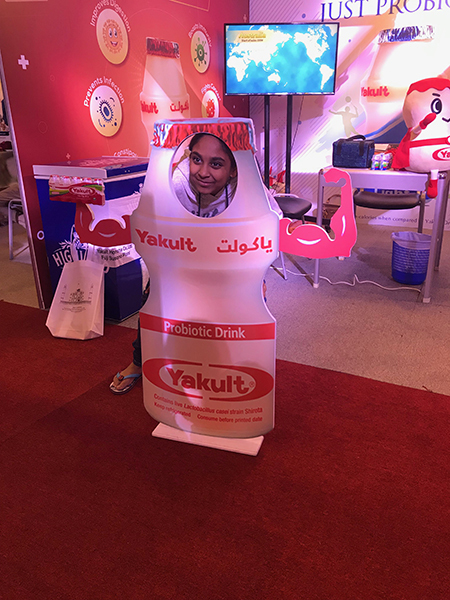 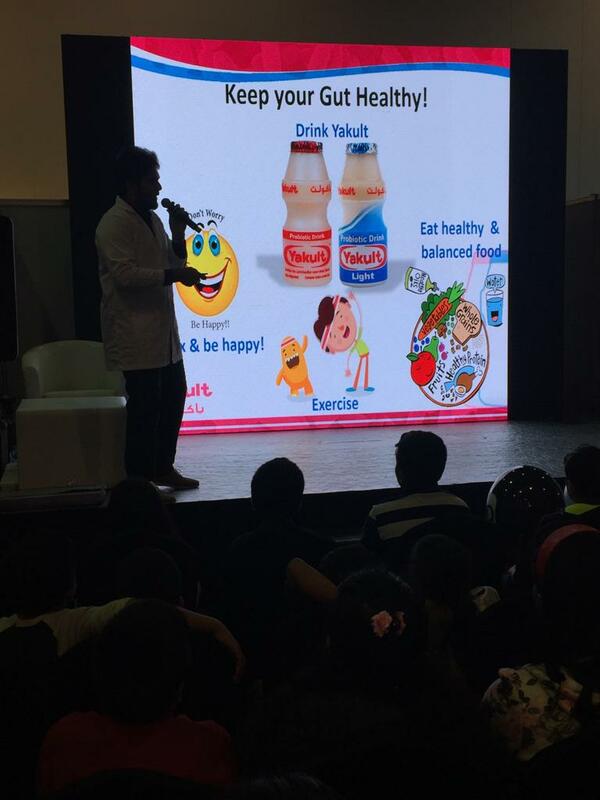 During the event days, Yakult Middle East organized health class for kids to educate them about their digestive system besides organizing an interactive campaign (Yakult maze) to encourage more participants.